Mark Litwak is a veteran entertainment attorney and founder of the Law Offices of Mark Litwak & Associates based in Los Angeles, California. His practice includes work in the areas of copyright, trademark, contract, multimedia law, intellectual property and book publishing. As a Producer’s Representative, he assists filmmakers in arranging financing, marketing and distribution of their films. He also testifies as an expert witness in motion picture industry cases. Litwak has packaged movie projects and served as executive producer on such feature films as “The Proposal,” “Out Of Line,” “Pressure,” and “Diamond Dog.” He has provided legal services or worked as a producer rep on more than 200 feature films. He is production counsel for numerous television and new media series including the Netflix series "Wet Hot American Summer," Yahoo Screen's "Other Space," and seven seasons of the Warner Brothers/Cartoon Network's Emmy Award winning “Childrens Hospital.” Many of the projects are listed on IMDB.com. Litwak is the author of six books: Reel Power, The Struggle for Influence and Success in the New Hollywood (William Morrow, 1986), Courtroom Crusaders (William Morrow, 1989), Dealmaking in the Film & Television Industry (Silman-James Press, 4th Edition 2016) (winner of the 1996 Kraszna-Krausz award for best book in the world on the film business), Contracts for the Film & Television Industry (Silman-James Press, 3rd Ed. 2012), Litwak's Multimedia Producer's Handbook (Silman-James Press, 1998), and Risky Business: Financing and Distributing Independent Film (Silman-James Press, 2004). He has contributed articles to The Los Angeles Times, The Business of Film, The Hollywood Reporter, Moviemaker and Daily Journal. He is the creator of the CD-ROM program Movie Magic Contracts. He also writes a blog for Independent Filmmaker Project (IFP). 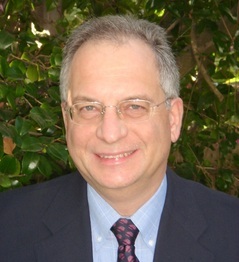 Litwak has been a lawyer since 1977 and worked in New York and California. He has an AV Peer Review Rating from Martindale-Hubbell and has been designated a Southern California Super Lawyer numerous times by Thomson Reuters. He has won awards for independent filmmakers against distributors who have failed to pay them what they are due including nearly two million dollars against a major distributor. He is an adjunct professor at the U.S.C. Gould School of Law where he teaches entertainment law. He has also taught at Loyola Law School and the University of Puget Sound School of Law.He has taught entertainment law courses at U.C.L.A. Extension for more than 25 years and has has lectured for the American Bar Association as well as for the California and Texas state bar associations. A frequent speaker, he has presented seminars across the United States, and in England, Australia, New Zealand, South Africa and Canada including presentations for Volunteer Lawyers for the Arts, the American Film Institute, Harvard University, Columbia University, the University of British Columbia and the Royal College of Art in London. Litwak has represented clients in entertainment industry arbitrations. He has also served as an arbitrator on the AAA and IFTA entertainment panels. His background includes stints as a television journalist, writing and producing news segments for Telepictures, and as a television producer with Marble Arch Productions. He is a former Vice President and General Counsel for a merchant banking and communications company. Litwak has a B.A. and M.A. degrees from Queens College of the City University of New York. He received his J.D. degree from the University of San Diego School of Law in 1977. He has been interviewed on more than 100 television and radio shows including ABC News, “The Larry King Show,” National Public Radio's “All Things Considered,” and CNN. He has been the subject of articles in California Law Business, Australian Lawyer and L.A. Weekly. He is the creator of the Magellan 4 Star site, Entertainment Law Resources at www.marklitwak.com. Excerpts from his seminars and lectures can be watched here. U.S.C. Gould School of Law. Film Investment Seminar, Providence R.I. The Oregon Media Producer's Assn. Arts & Business Council of Greater Boston (Volunteer Lawyers for the Arts).